from connected and automated vehicles to C-ART. Transport is a major cause of pollution in cities and the only major sector in the EU where greenhouse gas (GHG) emissions are still rising. In particular, road transport accounts for more than 70 percent of all transport GHG emissions. The "Europe on the Move" package adopted by the Commission in May 2017 highlights the potential of cooperative, connected and automated vehicles to reduce energy consumption and emissions from transport. Furthermore, digitisation and automation will help reduce human error, which is by far the greatest source of traffic accidents. This will make an important contribution to road safety as 70 people still die on European roads every day. 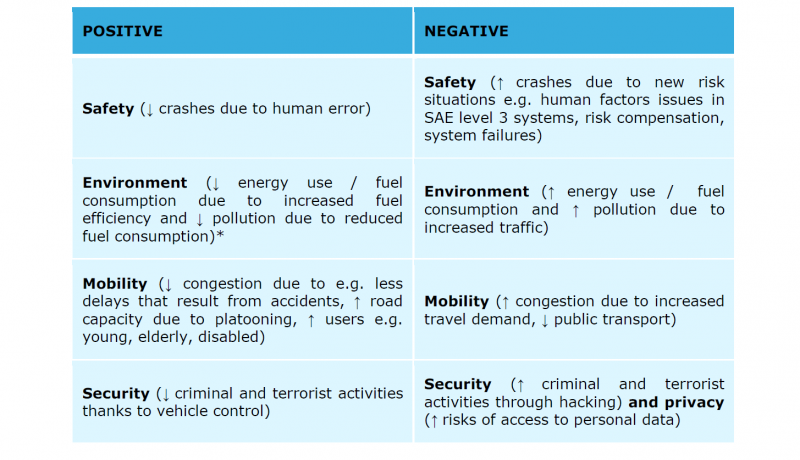 The main findings of the JRC report are promising for the connected and automated cars which could reduce road accidents (by eliminating human errors), traffic congestion, traffic pollution and energy use, as well as increase productivity, comfort and accessibility. However, the road transport system is complex and the full impact of such technologies remains uncertain and could have some negative impacts as well as unintended consequences. For example, higher demand for vehicles and continued preference for individual car ownership could result in congestion peaks and potentially compromise road safety. 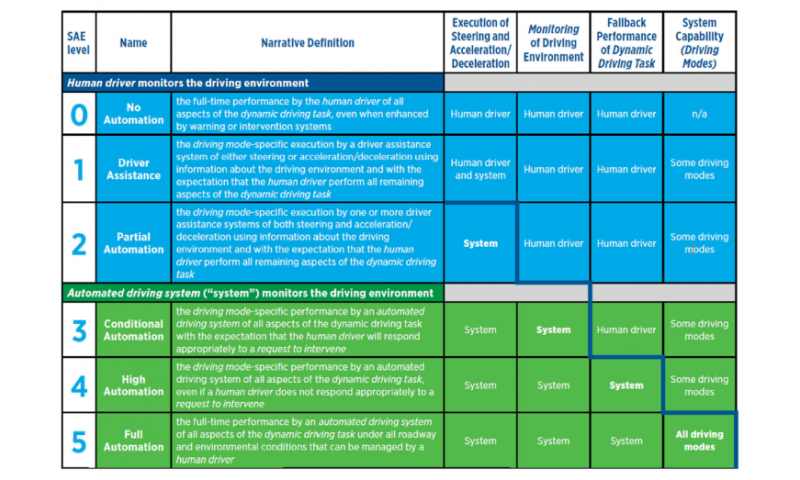 In this context, the JRC study aims at analysing the impacts of automated and connected vehicles by exploring plausible scenarios in order to see how the full potential of these technologies can be exploited. The report highlights the need for advanced management strategies and a coordination system like C-ART, in order to take stock of the potential advantages of cooperative, connected and automated systems for road safety and traffic flow efficiency. Furthermore, a number of other requirements have been identified and discussed with stakeholders. These range from technology to infrastructure, human factors, data, ethics as well as policy and legislation which would allow for the circulation of these new vehicles in the first place. For example, since C-ART heavily relies on highly automated driving technologies, the legal framework needs to be created to ensure that they can be safely deployed in real driving conditions. Additional road infrastructure is also imperative, especially equipment to enable communication with automated vehicles and with the management system. Furthermore, this communication relies on data sharing which may also raise concerns over issues of data privacy and data security. The report serves as a first input to policy anticipation and also points to the need for further research in the field. The EU must harness the opportunities of digitisation and automation to build an efficient and interconnected mobility system providing users with safe, attractive, intelligent, seamless and increasingly automated mobility solutions. At the same time, keeping Europe at the forefront of innovation and new technologies will create new jobs and drive Europe's competitiveness. The Commission is supporting the coordinated rollout of mass market partially automated and connected vehicles by 2020 by taking forward a wide range of policy, regulatory, public support actions and stakeholder platforms in cooperation with Member States and industry. In particular, the Commission has already presented a strategy aimed at delivering the coordinated and harmonised deployment of Cooperative Intelligent Transport Systems (C-ITS) in Europe by 2019. C-ITS are based on technologies which allow vehicles to "talk" to each other, and to the transport infrastructure. As part of the Digital Single Market Strategy, the European Commission aims to make more use of Cooperative Intelligent Transport Systems (C-ITS) solutions to achieve a more efficient management of the transport network for passengers and business. The Commission published a statement calling on Member States to get involved in cross-border projects exploring emerging data issues in real life situations and to act swiftly on the proposals already presented. Some projects on cooperative connected and automated mobility (CAD) that allow vehicles to connect with each other and with roadside infrastructure are already underway in several Member States. The Commission wants to build on these projects and test out the regulatory implications of access to and liability of data. CO2-free mobility: (how) is that possible?